It was our pick for the Best Premium Smartphone of 2017 award because of the value that it gives for its price. Now, three months after its launch, there’s even more reason to consider the Huawei Mate 10 series. The lineup just got even better, thanks to a reasonable discount. Starting today, you can buy the base model for P29,990 (around $576), P3,000 ($58) less than its original price of P32,990 ($634). The Huawei Mate 10 Pro, on the other hand, can be had for P36,990 ($711). Previously, the beefier of the two was selling for P38,990 ($749). This offer is available at all Huawei Philippines concept stores. This comes at a time when smartphones are getting more expensive. For example, two of the pair’s competition in the high-end segment — the Apple iPhone X and the Samsung Galaxy Note 8 — are retailing at P64,490 ($1,240) and P49,990 ($961), respectively. And the quoted iPhone price is just for the base model. We haven’t even included the new Samsung Galaxy S9 series, which goes for as “low” as P45,990 ($884). 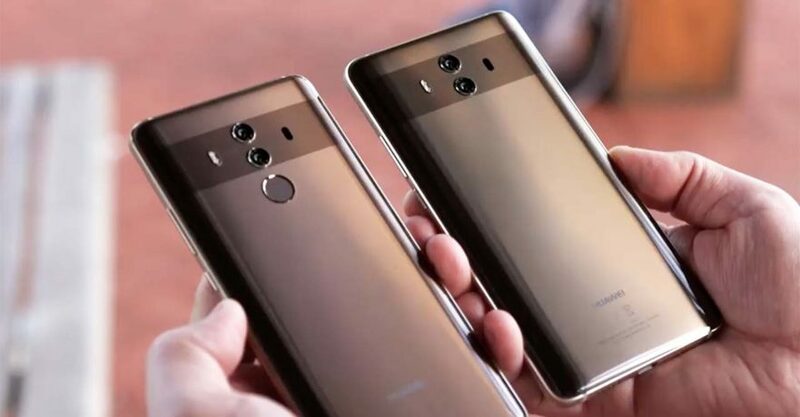 The Huawei Mate 10 and Mate 10 Pro may have become more affordable in preparation for the arrival of the Huawei P20 lineup, which will be launched on March 27 in Paris. But the fact remains: They are still value-for-money smartphones. Their dual-rear camera system, in particular, is one of the best out there. A 12-megapixel sensor takes pictures in color, while a 20-megapixel sensor shoots exclusively in monochrome or black and white. Those sensors sit behind an f/1.6 aperture lens. You can see the complete specs of the Mate 10 by clicking on this. If you’re after the Huawei Mate 10 Pro, check out its full specs here.